MICKEY MOUSE: Bundle up, everybody. We're hitting the slopes. way to the hidden rainforest. But first we have to pass walla water falls. 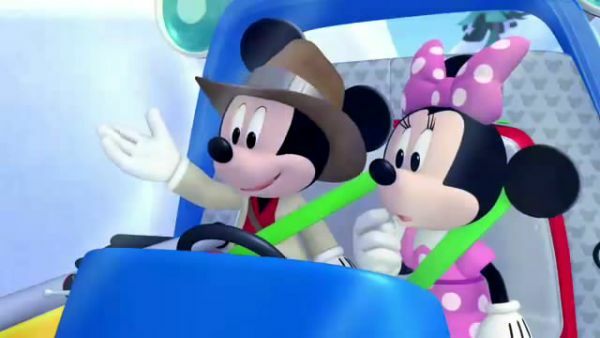 MINNIE: Oh, my, what are those creatures, Kansas City Mickey? MICKEY MOUSE: Yeti! DAISY: What-y? 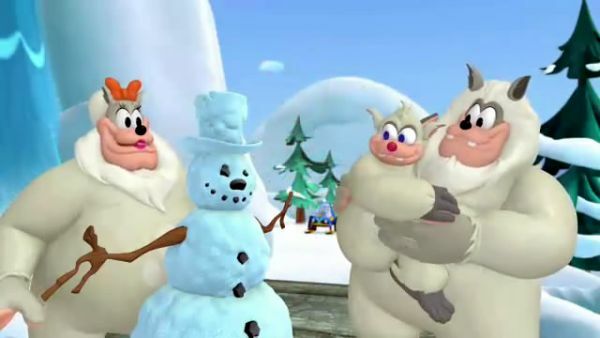 MICKEY MOUSE: Yeti are mysterious creatures that live in the high mountains. They're rarely ever seen. GOOFY: Wish we weren't seeing them now. We got to tell them to move out of the way. 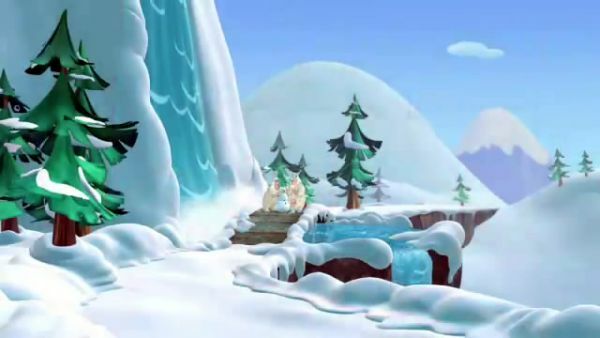 DAISY: But the waterfall is so loud. How are they ever going to hear us? which picture might have a tool that will help the Yeti hear us. 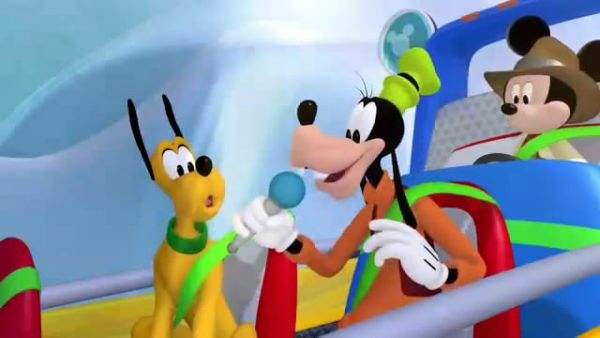 MICKEY MOUSE: Well, I think we should pick the ear, because that's what you hear with! Toodles, what's behind the ear? A microphone! Just what we need to make our voices louder so the Yeti can hear us. We got ears, say: cheers! GOOFY: Yeti! Yeti! It works. 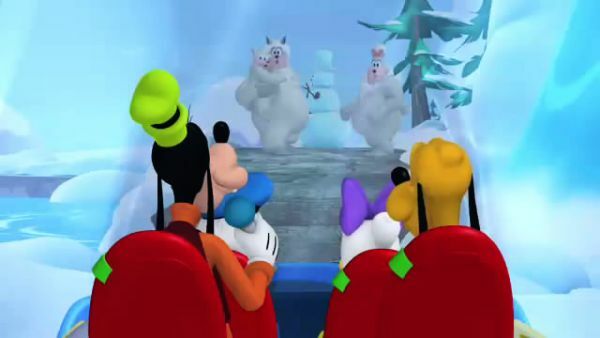 MICKEY MOUSE: Come on, help us get past the Yeti.